Solar water heating systems use solar panels fitted to the roof. They collect heat from the sun and use it to heat up water which is stored in a hot water cylinder. 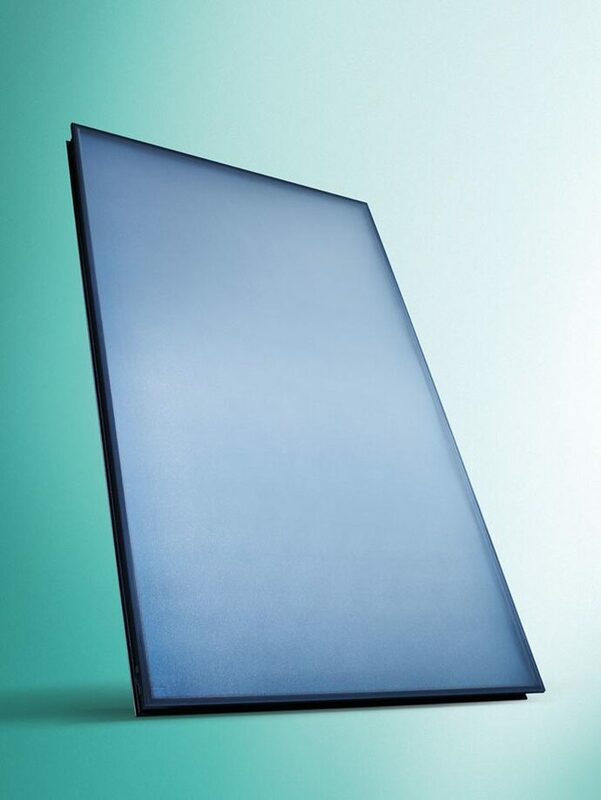 The stylish, high performance flat plate technology gathers thermal energy to deliver hot water to the home, with the ability to provide 100% of hot water during the summer months. Vaillant’s Solar Thermal solutions can be combined with a system boiler, cylinder and controls for a full system solution. Available in both vertical and horizontal options, they can be specified to most sizes and shapes of property in social housing or new build, providing full flexibility for the installer.